Our everyday dishware has grown over 51% in the past 50 plus years- expanding from about 9.5 inches to 12 or more inches in diameter. This has caused us to unwittingly consume way more food than our bodies need. 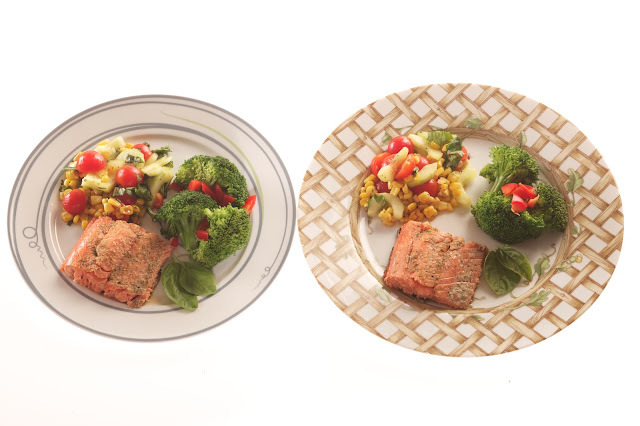 By downsizing our dishware, Livliga has made it easy for people to right-size their portions of food while still filling their plate. And because it is a right-sized dish, you can still eat everything on your plate! Studies have shown that the portion of food on a plate in relationship to the actual size of the plate is critical in influencing people to feel like the food on their plate is plentiful, causing them to feel satisfied after eating. Providing too big of a plate, on the other hand, with the same right-sized portions on it will appear relatively empty and therefore is not that satisfying.